PS4 Won't Recognize/Read USB? Here’s How To Fix It! Tip: Whenever PS4 stop reading or recognizing USB storage, then the very first step you must take is to recover data from the USB storage. 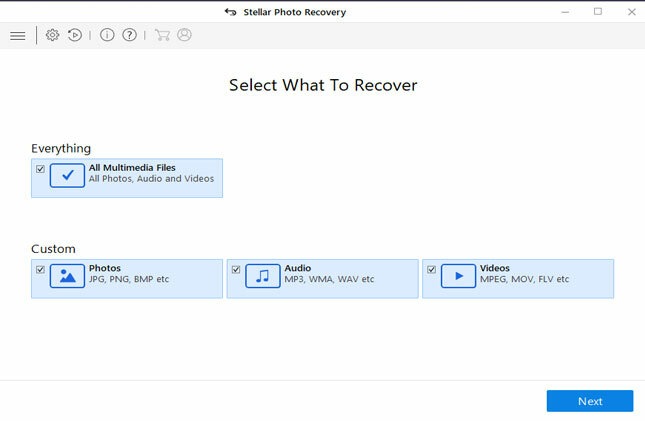 So, in order to recover media files from USB not recognized by PS4 is to use Photo Recovery software. Efficiently retrieve inaccessible media files such as photos, videos and audio files from USB that won’t recognize in PS4. Recover data from USB drive that is unreadable, unrecognized or completely not responding when connected to PS4. 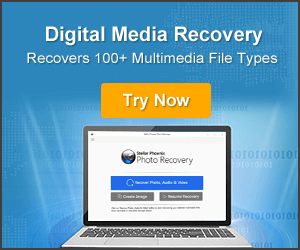 Also recover digital media files from memory card, USB flash drive, pen drive, memory stick, hard drive, external hard drive and other media storage devices. 100% read-only. Safe, secure and easy to use. PS4 (PlayStation 4) is a gaming console that comes with limited storage space. Hence, many PS4 users connect external USB drive to expand the storage space. There are many usage of external USB drive during playing games in PS4. For example, you may need to transfer PS4 video files from USB to PC, transfer pictures to a USB so that you can watch them later, or keeping the backup of your precious PS4 files to prevent any kind of data loss that may occur in the event of PS4 system failure. But sometimes PS4 stop reading and recognizing USB drive and its files. PS4 simply stop responding at all. At such situation, you must know that something has gone wrong with the USB itself. And when your PS4 can’t read USB, then you can’t access files as well you can’t transfer any data since this USB storage device can’t be used by PS4. For example, just have a look at practical scenario mentioned-below! PS4 won’t recognize USB drive? Trying to transfer some videos I recorded of some games to an external flash drive for a project in my AI Class. I keep getting an error saying that the storage device is not connected. I formatted the flash drive to a FAT32 format and put a folder named Video on it, but nothing is popping up. I tried all three the two USB ports and nothing shows up. The steps I am taking to copy the video are going into System Storage Management -> Capture Gallery -> <Video Game> -> Video -> Options Button -> Copy to External USB Drive. Flash drive is a PNY Attache 16 GB. PS4 is up to date with the newest firmware. Any help would be greatly appreciated. Just like above example, there are many users out there has reported the same issue to various forums and community sites, seeking solution to fix the issue. 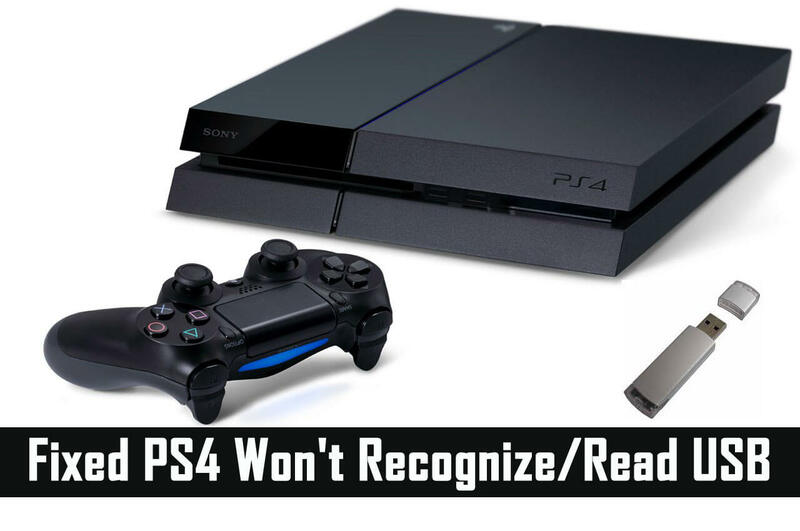 So, now the question is – why PS4 can’t read or recognize USB flash drive? The answer is given below! Why PS4 Can’t Read or Recognize USB Flash Drive? “The USB storage device is not connected”. Just check out the screenshot of the error message. For first error message – It can be due to limitation of the file system. I simple words, your drive is formatted to NTFS and it is not compatible to PS4. Let me tell you that PS4 only recognize exFAT and FAT32. So, if your USB storage has other file system, then PS4 will not recognize your USB and it will continue to throw “cannot be used. The file system is not supported“. 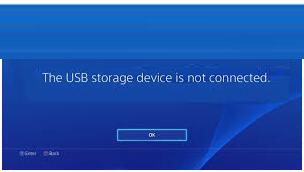 For second error message – when you connect your USB drive to PS4, but your PS4 does not show that USB drive is connected. In such case, you must consider the compatibility. Let me tell you that some old USB storage device is not compatible with PS4. Moreover, the USB interface of PS4 is completely different from other game consoles and hence it is very difficult to plug a USB drive. Most likely you fail to plug-in the port if the interface of your USB drive is too big. In reality, you think you have connected it to PS4, but actually it is not. So, now the question is – how to fix PS4 or PS4 pro is not recognizing USB drive? Read on the article to find out the fixes! Note: Before you perform any solutions mentioned-below to troubleshoot PS4 can’t recognize/read USB drive or hard drive. 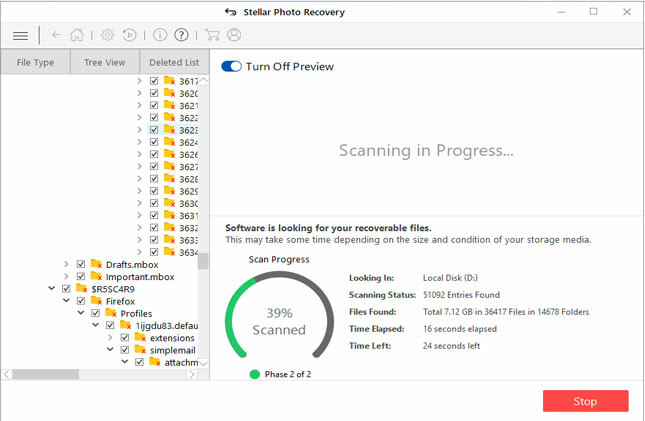 You must first recover important files from the USB drive, because it is possible that you lose your files by following the solutions to fix the issue. 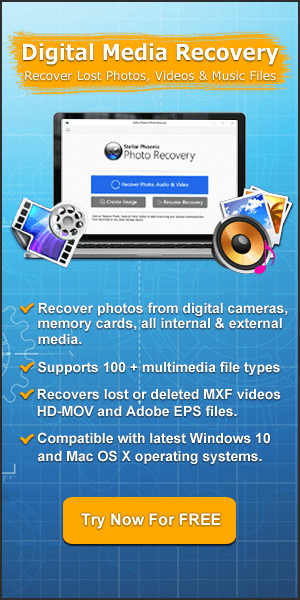 You can try world’s most popular Photo Recovery software to recover inaccessible or lost videos, recorded game videos, captured game screenshots, music audio from the PS4 USB flash drive. The software is available for both Windows and Mac computer. 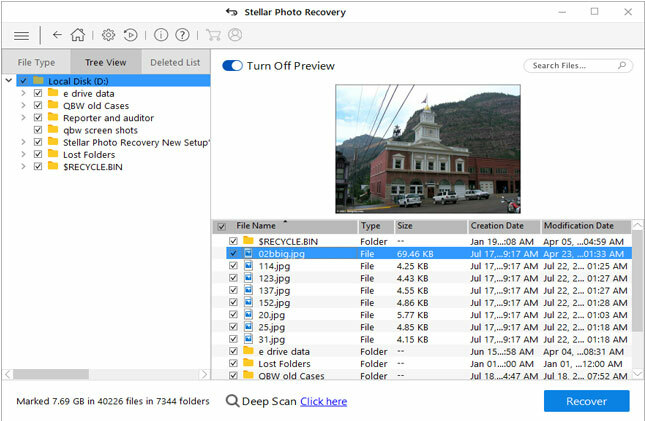 Below follow the steps to recover data from not recognized PS4 USB flash drive by using photo recovery software. If your USB drive came with NTFS file system, then PS4 game console will not support it. 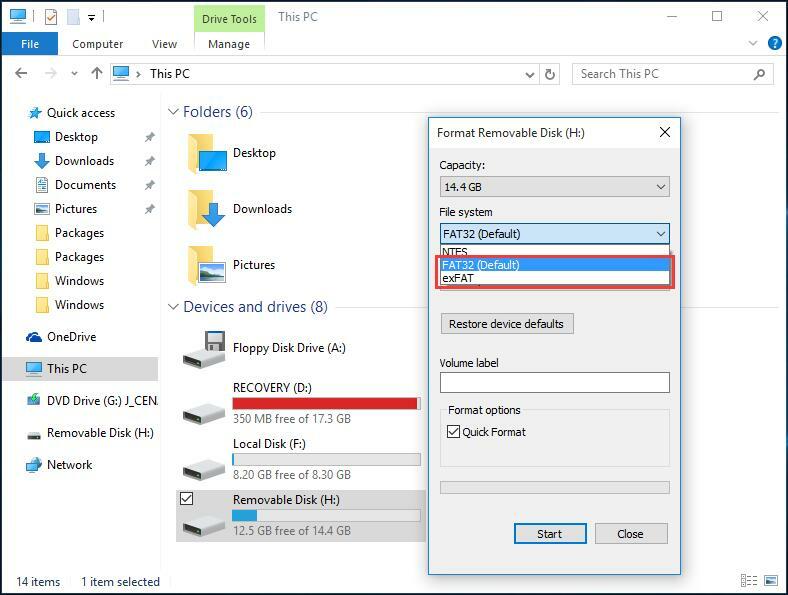 As mentioned-above that PS4 only support FAT32 and exFAT file system. 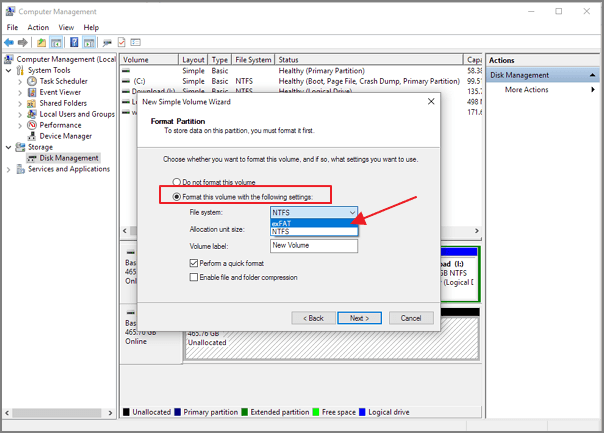 So, you have to convert USB drive NTFS file system to FAT32/exFAT file system. Below follow the steps on how to do this. Step 1: Connect your USB drive to PC. Right-click “My Computer” in Windows 7 or “This PC” in Windows 10 and click on “Manage”. Step 2: Click “Disk Management”, under Storage. Step 3: Right-click on the USB drive and select “Delete Volume”. Now your USB drive is empty showing as Unallocated. 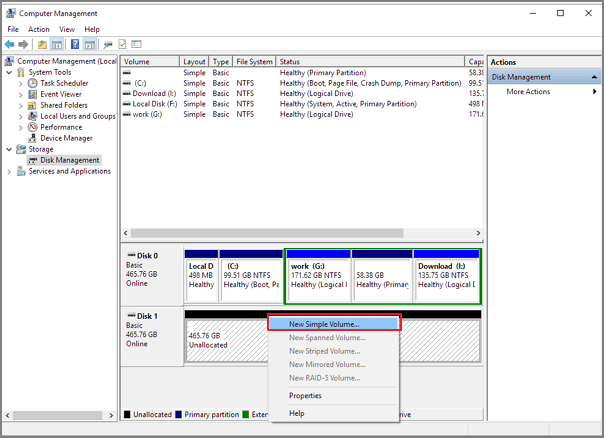 Step 4: Right-click on the unallocated disk and select “New Simple Volume”. Step 5: Follow the onscreen step to move ahead. At last step, select “Format this volume with…”. Here you can select file system to be exFAT. Alternatively, you can also format NTFS drive to FAT32 via Windows file explorer. Step 1: Connect your USB drive to computer. Open Windows Explorer, then right-click on USB drive and click on “Format” option. Step 2: This will pop-up another window. Here you can select “exFAT or FAT32 in the file system section. Step 3: Here you can set volume label. “Quick Format” is selected by default. Step 4: Finally click on “Start” to begin quick format for your USB drive. Note: While formatting USB drive via Windows Explorer, it is possible that you may get error message “Windows was unable to complete the format”. Here learn the solutions to Fix “Windows was Unable to Complete the Format” Error on USB, Memory Card & Hard Drive. Additional Reading: How To Recover Deleted or Corrupted Data From PS2 Memory Card? As mentioned above that it is difficult to plug-in USB drive into the USB interface of PS4, if your deice port is too bigger. In such case, it is recommended that you must use a USB 3.0 cable to connect your storage device to PS4. Further, some USB drive is not compatible with PS4. In such case, you must use a branded USB for example such as SanDisk, Sony or Samsung USB drive to connect to your PS4 for file transferring as these USB drives have better compatibility. By this way, you can easily fix PS4 won’t read USB drive issues. Now all the solutions about how to fix PS4 won’t recognize or read USB drive are listed in the article. Follow any of the solutions to fix the PS4 can’t read USB issue. The best solution to fix USB can’t read USB is to format USB to exFAT/FAT32 which is listed in the article. 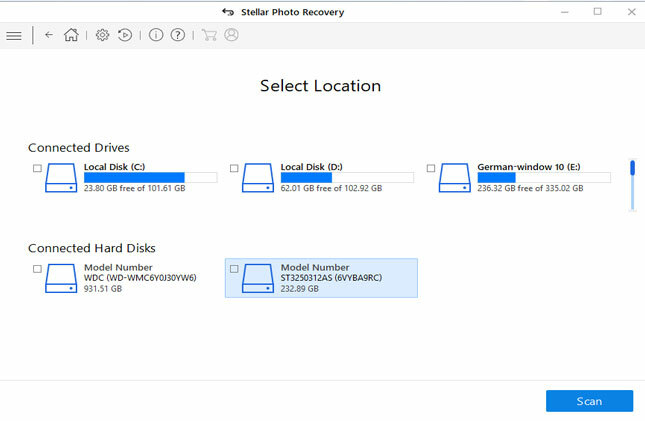 However, if your PS4 USB drive files have become inaccessible, then you can try Photo Recovery Tool to recover media file such as recorded videos, game videos, music audio or pictures from the PS4 USB drive.